Fifteen drafts. european-inspired cuisine. Beer garden. Rooftop deck. Open for Every single premiere league and champions league game. even the early ones. PUB TRIVIA EVERY TUESDAY NIGHT, Live Music Wednesdays, Stand-up Comedy thursdays, District karaoke every saturday night at 8:30. You won't find a better selection of hearty brunch choices all weekend long. We also offer bottomless mimosas for $16 with a meal during brunch. Saturday & Sunday | 10am-3pm. We offer happy hour specials Monday-Friday from 5-7pm. 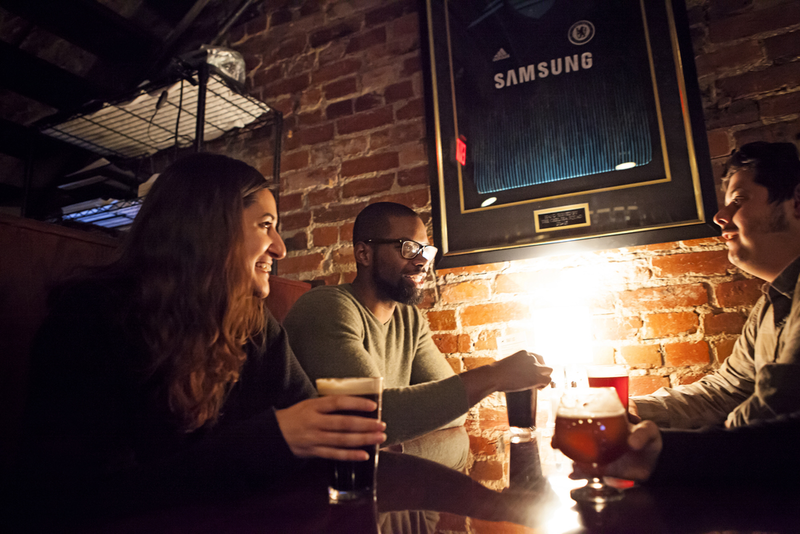 We screen the 2019 Women’s World Cup, English Premier League, (including early games) German Bundesliga, DC United and La Liga soccer games at the bar. Food and beer specials are offered for fans looking for a place to catch the game or just to play a little foosball. Sorry @dcunited FloSports is pure garbage. RT @pgdj88: Look isle of dogs is the best animated film. Period.